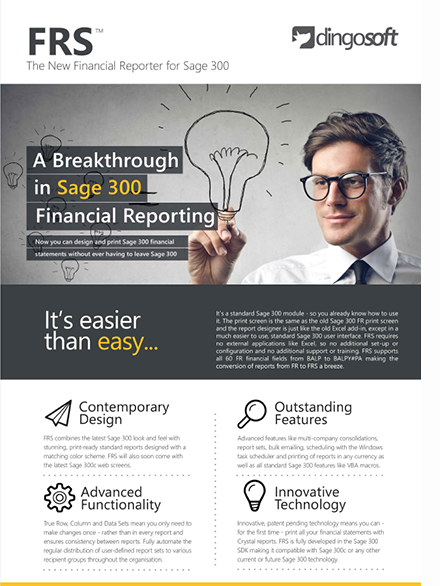 FRS is a new Financial Reporter for Sage 300. It's a complete re-write of the old Excel-based FR, developed entirely in the Sage 300 SDK using the standard Crystal reporting engine - just like every other Sage 300 report! 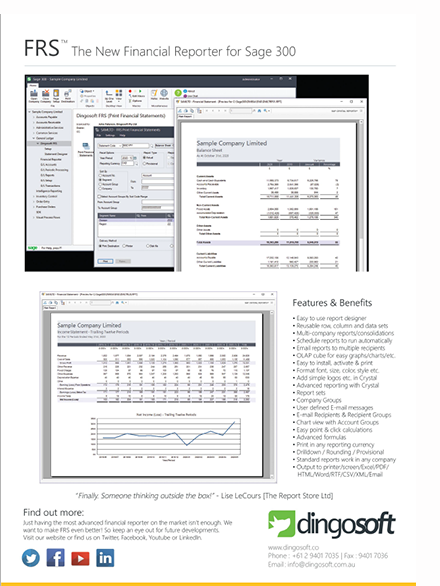 It retains all the functionality of the old FR, making conversion of reports from FR to FRS a breeze and adds a stack of new features like multi-company reporting, report sets, emailing to individuals or groups, scheduling with the Windows task scheduler and the ability to combine multiple reports into a single PDF file. It's also future-proof, with Sage300cloud web screens currently in development.